Want to be a more effective marketer? Effective marketers immerse themselves in the mindset of current and prospective customers. Do you know why they choose your product/service? Or (gulp) why they don’t? What’s the deciding factor? Price? Convenience? Loyalty? What do these current and prospective customers like about your product/service? What don’t they like? If possible, watch them use your product or service. Do “pain points” come up, creating frustration? How about moments of satisfaction? Also, observe people as they use your competitors’ products and services. While marketing must convey the essential benefits of what you’re selling, don’t stop there. People will always be motivated by a combination of reason and emotion. Be sure you’ve created a compelling proposition that identifies wants as well as needs. “Need” just puts an item on somebody’s to-do list, while “want” compels them to pull out the credit card. Start with a strong strategy and you’ll have a foundation on which to build a successful marketing plan. Effective marketers never become complacent; be on the lookout for new tools and technologies for delivering your message. Just think of how Twitter, Pinterest and YouTube have changed the marketing landscape in the past few years. adapt innovations into your overall strategy. Staying on top of the world of digital marketing can be time consuming. Subscribe to our quick-read eNewsletter GROW. Each month you'll receive a compilation of the very best articles, statistics and reports on inventive marketing ideas in your inbox. 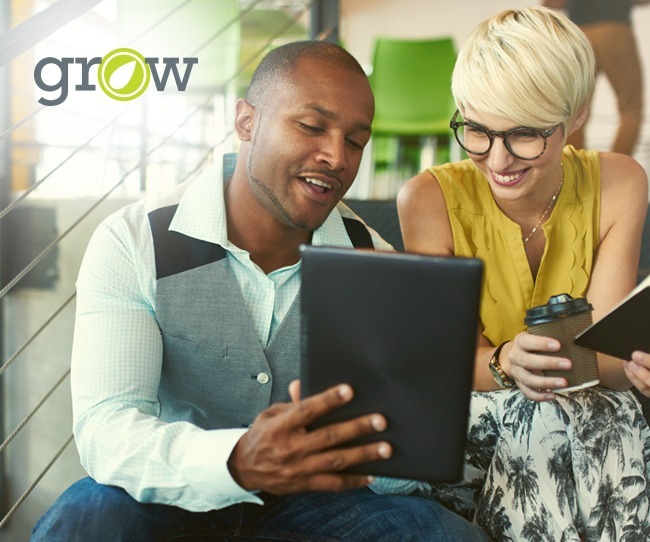 Get Grow, Our Monthly Quick-Read email. Add a dash of marketing brilliance to your business.